Keeping in view the overall condition of the road, authorities on Thursday allowed the one-way traffic on Srinagar-Jammu highway. An official said that the traffic movement of light motor vehicles is allowed from Srinagar to Jammu only. The spokesman said that no movement of any LMVs shall be allowed from Srinagar towards Jammu after 1500 hours and from Levdora, Qazigund after 1700 hours to avoid congestion. However, the commuters are advised to avoid traveling during night hours and no movement of any type of vehicle shall be allowed from the opposite side in order to ensure smooth flow of traffic. The spokesman added that commuters are advised to exhibit the highest order of driving discipline in general and while crossing Chenani-Nashri Tunnel in particular. They shall avoid overtaking, over speeding, doubling, especially inside the tunnel and adhere to the road signs and instructions displayed on either side of the Tunnel for their safe crossing and hassle-free movement of traffic inside the tunnel tubes. Mughal road, Srinagar-Sonamarg-Gumari road is continuously closed for movement of traffic due to snowfall. The decision regarding allowing the movement of traffic on these roads shall be taken after the roads are cleared off by concerned road maintenance agencies and after assessing weather and road condition itself. 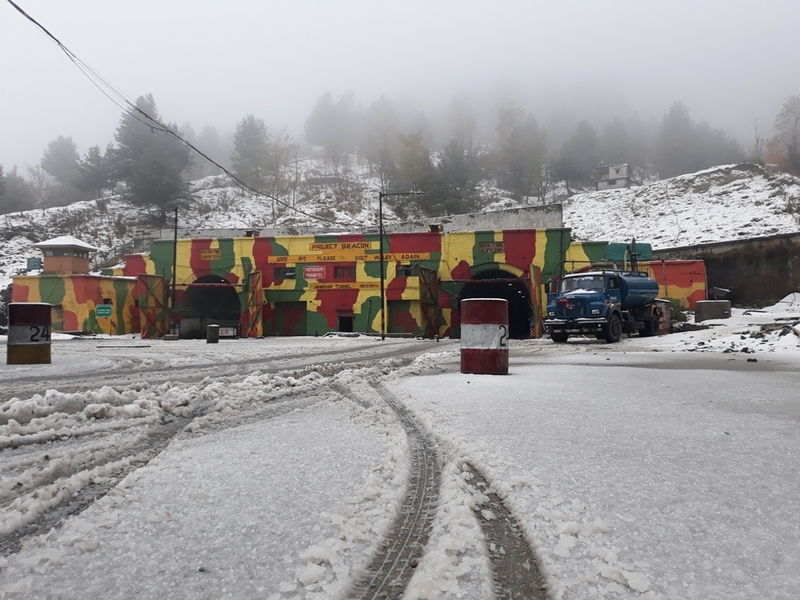 Meanwhile, scores of the fruit growers from Shopian district told Kashmir Life that the trucks loaded with apples left from Kashmir days back are still stuck in the traffic in between the Kashmir highway. 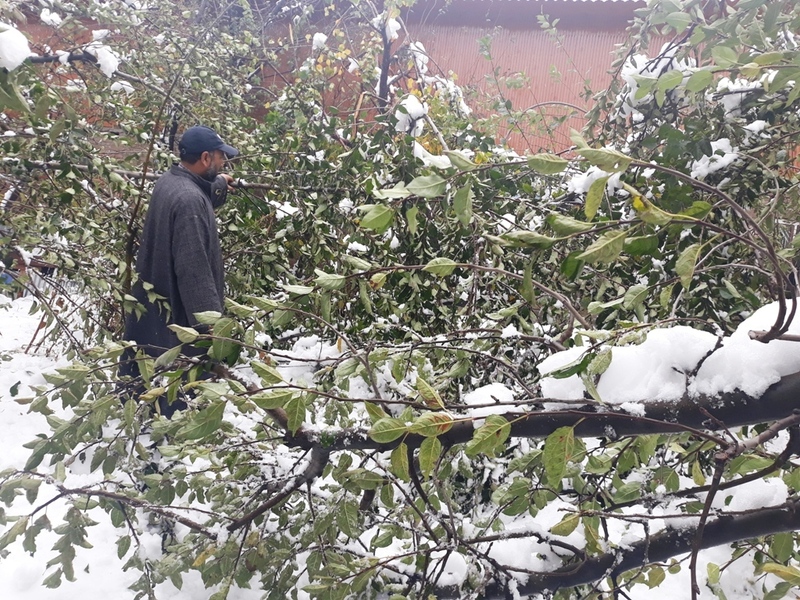 As recent snowfall has run riot with the apple orchards across Kashmir and most of the damage is reported from south Kashmir where orchards are literally massacred. The growers have appealed the traffic authorities to allow all the fruit trucks stuck in the middle of the highway, towards Jammu so that they can be saved from the further loss. In south Kashmir, the high-density orchards which have come up in recent years have suffered slightly less damage than the traditional orchards.